Windows 10, version 1607, introduced shared PC mode, which optimizes Windows 10 for shared use scenarios, such as touchdown spaces in an enterprise and temporary customer use in retail. You can apply shared PC mode to Windows 10 Pro, Pro Education, Education, and Enterprise. If you're interested in using Windows 10 for shared PCs in a school, see Use Set up School PCs app which provides a simple way to configure PCs with shared PC mode plus additional settings specific for education. A Windows 10 PC in shared PC mode is designed to be management- and maintenance-free with high reliability. In shared PC mode, only one user can be signed in at a time. When the PC is locked, the currently signed in user can always be signed out at the lock screen. It is intended that shared PCs are joined to an Active Directory or Azure Active Directory domain by a user with the necessary rights to perform a domain join as part of a setup process. This enables any user that is part of the directory to sign-in to the PC. If using Azure Active Directory Premium, any domain user can also be configured to sign in with administrative rights. Additionally, shared PC mode can be configured to enable a Guest option on the sign-in screen, which doesn't require any user credentials or authentication, and creates a new local account each time it is used. Windows 10, version 1703, introduces a kiosk mode account. Shared PC mode can be configured to enable a Kiosk option on the sign-in screen, which doesn't require any user credentials or authentication, and creates a new local account each time it is used to run a specified app in assigned access (kiosk) mode. When the account management service is turned on in shared PC mode, accounts are automatically deleted. Account deletion applies to Active Directory, Azure Active Directory, and local accounts that are created by the Guest and Kiosk options. Account management is performed both at sign-off time (to make sure there is enough disk space for the next user) as well as during system maintenance time periods. Shared PC mode can be configured to delete accounts immediately at sign-out or when disk space is low. In Windows 10, version 1703, an inactive option is added which deletes accounts if they haven't signed in after a specified number of days. Shared PC mode is configured to take advantage of maintenance time periods which run while the PC is not in use. Therefore, sleep is strongly recommended so that the PC can wake up when it is not is use to perform maintenance, clean up accounts, and run Windows Update. The recommended settings can be set by choosing SetPowerPolicies in the list of shared PC options. Additionally, on devices without Advanced Configuration and Power Interface (ACPI) wake alarms, shared PC mode will always override real-time clock (RTC) wake alarms to be allowed to wake the PC from sleep (by default, RTC wake alarms are off). This ensures that the widest variety of hardware will take advantage of maintenance periods. While shared PC mode does not configure Windows Update itself, it is strongly recommended to configure Windows Update to automatically install updates and reboot (if necessary) during maintenance hours. This will help ensure the PC is always up to date and not interrupting users with updates. Group Policy: Set Computer Configuration > Administrative Templates > Windows Components > Windows Update > Configure Automatic Updates to 4 and check Install during automatic maintenance. MDM: Set Update/AllowAutoUpdate to 4. Provisioning: In Windows Imaging and Configuration Designer (ICD), set Policies/Update/AllowAutoUpdate to 4. IsEnabled - This informs apps when the PC has been configured for shared use scenarios. For example, an app might only download content on demand on a device in shared PC mode, or might skip first run experiences. ShouldAvoidLocalStorage - This informs apps when the PC has been configured to not allow the user to save to the local storage of the PC. Instead, only cloud save locations should be offered by the app or saved automatically by the app. IsEducationEnvironment - This informs apps when the PC is used in an education environment. Apps may want to handle diagnostic data differently or hide advertising functionality. Shared PC mode exposes a set of customizations to tailor the behavior to your requirements. These customizations are the options that you'll set either using MDM or a provisioning package as explained in Configuring shared PC mode on Windows. The options are listed in the following table. Some of the remaining settings in SharedPC are optional, but we strongly recommend that you also set EnableAccountManager to True. AccountManagement: AccountModel This option controls how users can sign-in on the PC. Choosing domain-joined will enable any user in the domain to sign-in. Specifying the guest option will add the Guest option to the sign-in screen and enable anonymous guest access to the PC. - Only guest allows anyone to use the PC as a local standard (non-admin) account. - Domain-joined only allows users to sign in with an Active Directory or Azure AD account. - Domain-joined and guest allows users to sign in with an Active Directory, Azure AD, or local standard account. AccountManagement: DeletionPolicy - Delete immediately will delete the account on sign-out. - Delete at disk space threshold will start deleting accounts when available disk space falls below the threshold you set for DiskLevelDeletion, and it will stop deleting accounts when the available disk space reaches the threshold you set for DiskLevelCaching. Accounts are deleted in order of oldest accessed to most recently accessed. Example: The caching number is 50 and the deletion number is 25. Accounts will be cached while the free disk space is above 25%. When the free disk space is less than 25% (the deletion number) at a maintenance period, accounts will be deleted (oldest last used first) until the free disk space is above 50% (the caching number). Accounts will be deleted immediately at sign off of an account if free space is under the deletion threshold and disk space is very low, regardless if the PC is actively in use or not. AccountManagement: DiskLevelCaching If you set DeletionPolicy to Delete at disk space threshold, set the percent of total disk space to be used as the disk space threshold for account caching. AccountManagement: DiskLevelDeletion If you set DeletionPolicy to Delete at disk space threshold, set the percent of total disk space to be used as the disk space threshold for account deletion. AccountManagement: InactiveThreshold If you set DeletionPolicy to Delete at disk space threshold and inactive threshold, set the number of days after which an account that has not signed in will be deleted. AccountManagement: EnableAccountManager Set as True to enable automatic account management. If this is not set to true, no automatic account management will be done. AccountManagement: KioskModeUserTileDisplayText Sets the display text on the kiosk account if KioskModeAUMID has been set. Customization: MaintenanceStartTime By default, the maintenance start time (which is when automatic maintenance tasks run, such as Windows Update) is midnight. You can adjust the start time in this setting by entering a new start time in minutes from midnight. For example, if you want maintenance to begin at 2 AM, enter 120 as the value. Customization: MaxPageFileSizeMB Adjusts the maximum page file size in MB. This can be used to fine-tune page file behavior, especially on low end PCs. Customization: SignInOnResume This setting specifies if the user is required to sign in with a password when the PC wakes from sleep. Customization: SleepTimeout Specifies all timeouts for when the PC should sleep. Enter the amount of idle time in seconds. If you don't set sleep timeout, the default of 1 hour applies. Policies: Authentication (optional related setting) Enables a quick first sign-in experience for a user by automatically connecting new non-admin Azure AD accounts to the pre-configured candidate local accounts. 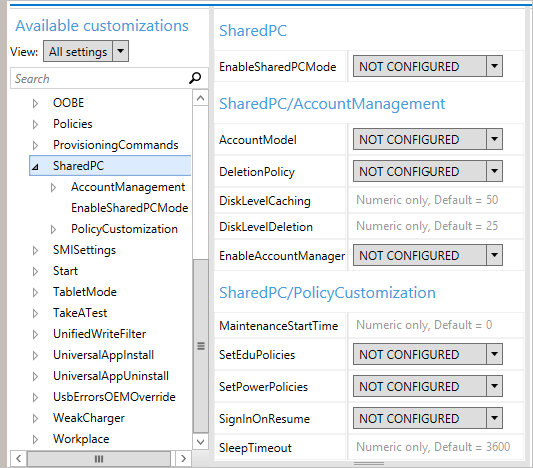 Mobile device management (MDM): Shared PC mode is enabled by the SharedPC configuration service provider (CSP). Your MDM policy can contain any of the options listed in the Customization section. 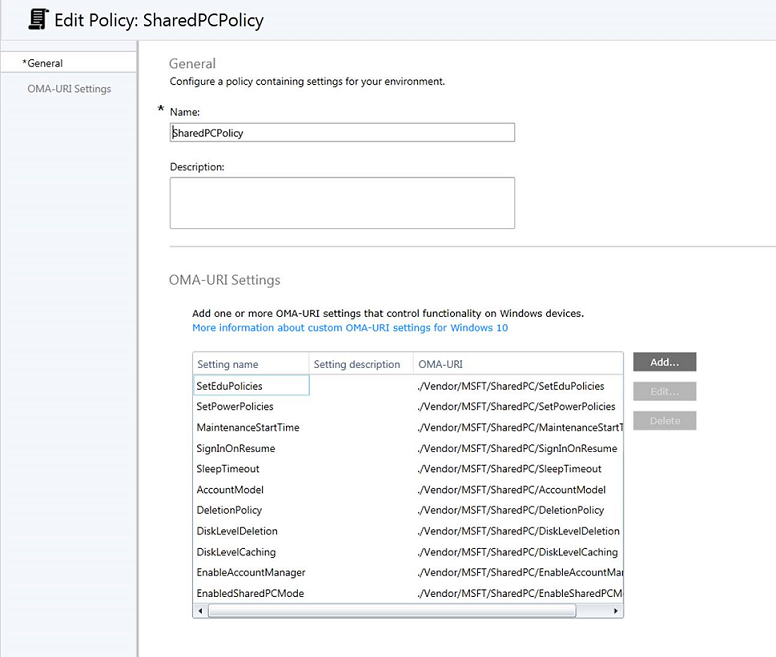 The following image shows a Microsoft Intune policy with the shared PC options added as OMA-URI settings. Learn more about Windows 10 policy settings in Microsoft Intune. 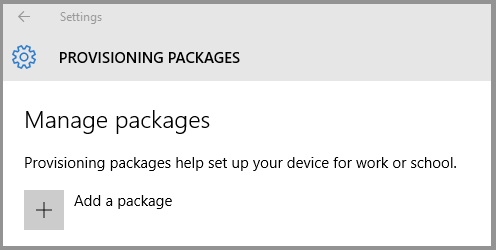 A provisioning package created with the Windows Configuration Designer: You can apply a provisioning package when you initially set up the PC (also known as the out-of-box-experience or OOBE), or you can apply the provisioning package to a Windows 10 PC that is already in use. The provisioning package is created in Windows Configuration Designer. Shared PC mode is enabled by the SharedPC configuration service provider (CSP), exposed in Windows Configuration Designer as SharedPC. On the Start page, select Advanced provisioning. Enter a name and (optionally) a description for the project, and click Next. Select All Windows desktop editions, and click Next. Click Finish. Your project opens in Windows Configuration Designer. Go to Runtime settings > SharedPC. Select the desired settings for shared PC mode. On the File menu, select Save. On the Export menu, select Provisioning package. (Optional) In the Provisioning package security window, you can choose to encrypt the package and enable package signing. Enable package encryption - If you select this option, an auto-generated password will be shown on the screen. Enable package signing - If you select this option, you must select a valid certificate to use for signing the package. You can specify the certificate by clicking Select... and choosing the certificate you want to use to sign the package. We recommend that you include a trusted provisioning certificate in your provisioning package. When the package is applied to a device, the certificate is added to the system store and any package signed with that certificate thereafter can be applied silently. Click Next to specify the output location where you want the provisioning package to go once it's built. By default, Windows Configuration Designer uses the project folder as the output location. Optionally, you can click Browse to change the default output location. Click Build to start building the package. The project information is displayed in the build page and the progress bar indicates the build status. If you need to cancel the build, click Cancel. This cancels the current build process, closes the wizard, and takes you back to the Customizations Page. If your build fails, an error message will show up that includes a link to the project folder. You can scan the logs to determine what caused the error. Once you fix the issue, try building the package again. If your build is successful, the name of the provisioning package, output directory, and project directory will be shown. If you are done, click Finish to close the wizard and go back to the Customizations Page. You can apply the provisioning package to a PC during initial setup or to a PC that has already been set up. Start with a PC on the setup screen. Insert the USB drive. If nothing happens when you insert the USB drive, press the Windows key five times. If there is only one provisioning package on the USB drive, the provisioning package is applied. If there is more than one provisioning package on the USB drive, the Set up device? message displays. Click Set up, and select the provisioning package that you want to install. On a desktop computer, navigate to Settings > Accounts > Work access > Add or remove a management package > Add a package, and selects the package to install. If you apply the setup file to a computer that has already been set up, existing accounts and data might be lost. We recommend no local admin accounts on the PC to improve the reliability and security of the PC. When a PC is set up in shared PC mode with the default deletion policy, accounts will be cached automatically until disk space is low. Then, accounts will be deleted to reclaim disk space. This account managment happens automatically. Both Azure AD and Active Directory domain accounts are managed in this way. Any accounts created through Guest and Kiosk will be deleted automatically at sign out. By default, the account that joined the PC to Azure AD will have an admin account on that PC. Global administrators for the Azure AD domain will also have admin accounts on the PC. With Azure AD Premium, you can specify which accounts have admin accounts on a PC using the Additional administrators on Azure AD Joined devices setting on the Azure portal. 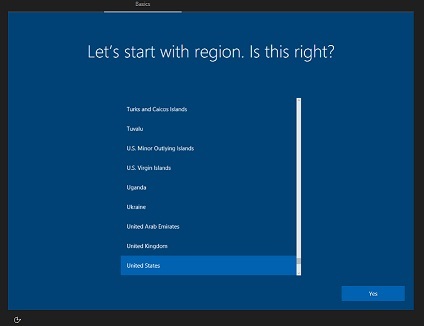 Local accounts that already exist on a PC won’t be deleted when turning on shared PC mode. New local accounts that are created using Settings > Accounts > Other people > Add someone else to this PC after shared PC mode is turned on won't be deleted. However, any new local accounts created by the Guest and Kiosk options on the sign-in screen (if enabled) will automatically be deleted at sign-out. Create exempt accounts before signing out when turning shared pc mode on. The account management service supports accounts that are exempt from deletion. An account can be marked exempt from deletion by adding the account SID to the HKEY_LOCAL_MACHINE\SOFTARE\Microsoft\Windows\CurrentVersion\SharedPC\Exemptions\ registry key. Shared PC mode sets local group policies to configure the device. Some of these are configurable using the shared pc mode options. It is not recommended to set additional policies on PCs configured for Shared PC Mode. The shared PC mode has been optimized to be fast and reliable over time with minimal to no manual maintenance required.